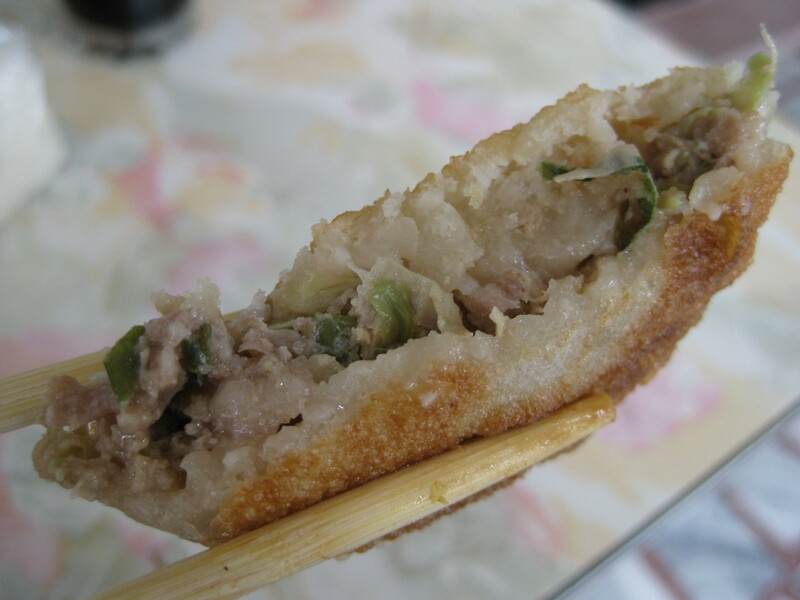 Hualien breakfasts, snacks, and more. Feast. 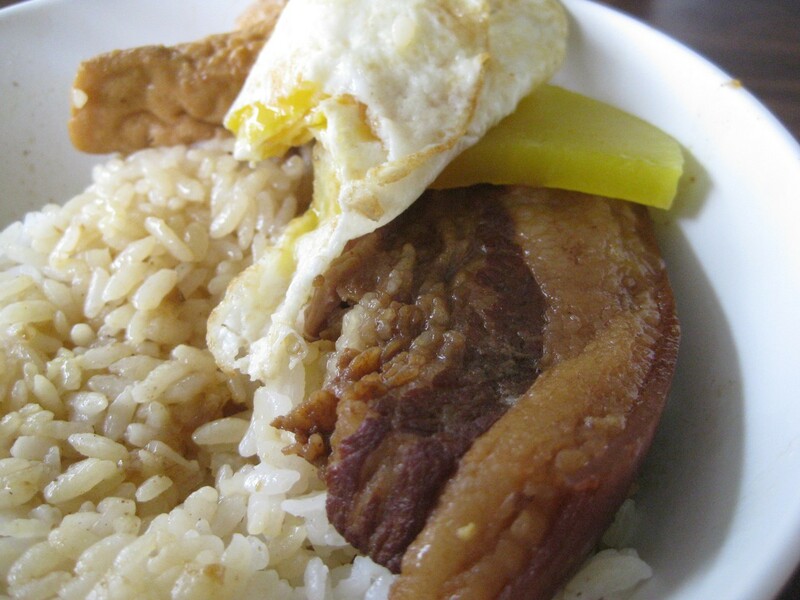 Pork belly rice (lŭ ròu fàn, 滷肉飯). Peanut drink (mĭ jiāng, 米漿). Jiang Tai Tai Beef Noodles (Jiāng Tài Tài niú ròu miàn, 江太太牛肉麵). Egg & ham wrap. Sweet buns and savory pork bun. Big day ahead of us. Hualien sightseeing via scooters. However, breakfast first. The thing I miss most about Taiwan is that you can step outside, walk a few steps (literally), and encounter a breakfast that’s simple, cheap, and cooked from scratch. The whole affair is highly casual; you can walk in wearing your pajamas and undershirt and no one would give a flying monkey. There’s no wait staff to seat you or take your order. What you order doesn’t come with a number, so it’s not broadcasted over a speaker system like at the DMV. Receipts do not exist, wait times are short, and it’s always cash only. Most times, there’s not even a menu; they just assume you know what they serve, and that you have the linguistic faculties to order. In certain places though, the menu is thin sketch-paper with beautifully handwritten Chinese characters plastered on the back wall of the restaurant. Traditional Chinese, when written correctly, is absolutely gorgeous- it’s an art form, and I wouldn’t put it past the restaurant sticking it up just for aesthetic purposes. The breakfast place we hit up was about 200 meters away from the hostel. Pork belly rice was exactly what I expected: a slab of braised pork belly, a fried egg, a slice of preserved turnip, and some rice. Given the timing of the meal, the portion and combination was perfect. This was washed down with peanut milk, which screamed “Chinese horchata.” It tasted sort of like semi-watery warm cream and liquid peanut brittle. I’m pretty sure that pulverized rice (the traditional preparation for horchata) had nothing to do with the drink. I wonder if combining peanut rice milk with a fusion of horchata preparation techniques would impart a more desirable taste or texture. I couldn’t find any resources of how traditional peanut milk was made, but I imagine that this extraction of peanut flavors is similar to how horchata is made (extracting starch from rice into water). Peanuts may be ground up and steeped in milk or water in order to extract the flavor compounds. However, given the low starch content in a peanut, the resultant solvent would be thin and thin = not as satisfying. Would water be the best solvent to extract starch and/or other flavor compounds from rice/peanuts? What effect does toasting peanuts have on extraction? (Sort of like browning meat before a stew). Perhaps I’m over-thinking it, but extraction is a surefire way to elevate the flavor train. Steeping and extraction of flavor compounds by using a solvent is a highly effective way to add pure flavor, as aqueous material can always be evaporated. Flavor is extracted into solvent, solvent is added to desired dish/cocktail, dish/cocktail can be reduced so that solvent is not present, but flavors are. Sort of like a “transfer” of flavor. What’s next? Collard greens rice milk? (I’d totally try that). These were supposedly the best beef noodles in Hualien. I’ve had better. The beef noodles here were missing a particular tomato-flavor that I’m accustomed to, and there was enough grease floating on top of the bowl to fry a small child. I think I finished it only because I was starving. Most recipes online do not include the use of beefsteak tomatoes or tomato paste, which are the obvious ingredients to creating a tomato-like flavor. On a side note, there’s an un-Asian-like quality when I think about tomatoes being in noodle soup; tomatoes makes me think more wine-based stews. Nevertheless, the tomato quality of beef noodle soup highlights the savory qualities of the rest of the stew; I’m sure it was the result of the tomato’s natural glutamates. I don’t particularly prefer things like MSG in my meals, so I can’t complain when tomatoes are the umami culprit. 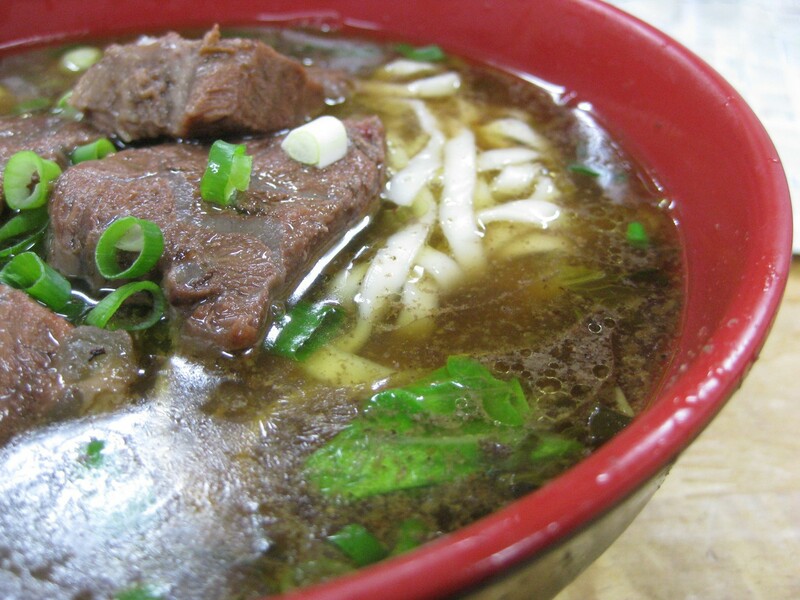 Just a hint brings out the meatiness of the beef, the chew of the noodles, and most importantly, that flavorful, dark broth.